When you think about digital marketing and becoming a minor YouTube sensation, a seafood supplier at Singapore’s Jurong fishery port would probably not be what you would expect. Hai Sia Seafood (teochew dialect for 'the sound of the sea') is a 40-year-old seafood wholesaler at the Jurong Central Fish Market. Up until recently the business was a very traditional affair with most customer dealings being face-to-face. It only had a simple web presence in the form of a 2 page website. Then Ang Junting joined his family's business to help his father. In November 2015, they revamped their website to look as fresh as you might expect from a startup, and even more radically, they released a video expressing the artisanal side of their work that has now had more than 200,000 views on YouTube. Going digital has become vital to any business and many traditional enterprises are also embracing the idea. Junting, Hai Sia's deputy director said the transition to digital was not about rejecting tradition, but quite the opposite. “It’s about communicating the traditions and values the business prides itself upon and has built over the years,” he said. Hai Sia's video reveals the artisanal side of fish-mongering, where the freshest produce is deftly sliced, prepared and displayed beautifully, showing the traditional side of the business to a brand new audience. It conveys the message that being a 40-year-old company doesn't stop them from approaching the trade in an innovative way. Tradition and craft are thus turned into valuable content that serves both the audience and Hai Sia itself. The first and most important step of their transition to digital was to create a good website. A good website is not just creating a good impression, it is fundamental as businesses move online. A shift otherwise known as digital transformation. 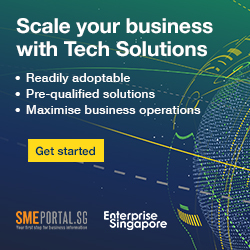 “One of the directions for the website that Melvin Sim (Hai Sia’s senior marketing executive) wanted to do was the craftsmanship part. It’s something undervalued especially in the local fish market scene,” said Junting. As a result the firm has begun offering free tours of the fish market to the public as part of a bid to raise awareness and promoting the tours online, using Google AdWords. 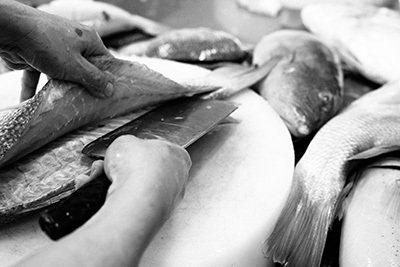 The website even offers seafood recipes, and becomes a gateway to a different side of the business, where traditions bring value, information and even entertainment to visitors. The video, promoting of the tours and free recipes have driven a 400 per cent increase in website traffic. This means Hai Sia Seafood is attracting attention that it didn't enjoy previously, potentially increasing their customer-base. One of the main objectives of going digital is getting more exposure. After all, more exposure brings new audiences, which again can lead to an increase in sales. Hai Sia Seafood recognizes this and has embraced several social channels and site. In addition to creating a presence on LinkedIn, the company is also selling their products on RedMart, an online grocery shopping and delivery service. 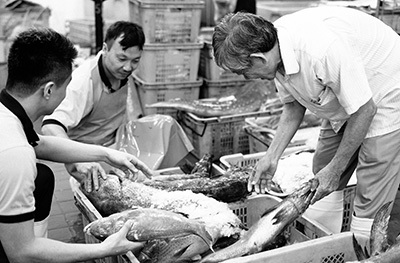 RedMart typically sells products from big brands such as Marigold and Kraft, but turned to Hai Sia for their fresh seafood. In this case, Hai Sia not only gained a vendor, but being the seafood provider for RedMart exposes them to a new audience who might take a liking to their products and further spread the word. Mr Sim said the digital promotion was not directly leading to many new sales yet because their goal was more to increase the status of local seafood generally. The company hopes fishmongering in Singapore will one day have the same status as it does in Japan.